Our Smile Design Center is fully equipped with state-of-the-art technology to provide our patients with the same level of quality and care that you’d get in the most expensive dental clinics in New York City or Beverly Hills. 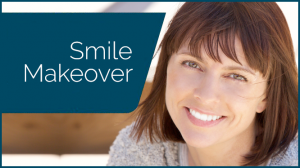 Using our exclusive Digital Smile Design procedure, our English-speaking staff will help you design and see images of the perfect smile for your face, one that matches both your expectations and the natural relationships between gums, teeth, lips, and face. You’ll be able to see the results of all your choices before the process even begins, allowing you to know in advance exactly how you will look after the procedure is completed. Once your decisions have been made, a team of specialists will start to work on implementing the various parts of the processes needed to give you the best smile for you. We believe in direct, constant, and honest communication. We know that many patients get nervous when they go to the dentist. We try to make our patients feel at ease by speaking to them in their own language, helping them fully understand all the steps of the process, offering comfortable, modern, and attractive surroundings, and using modern technology, techniques and materials.